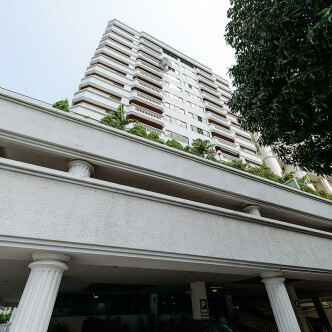 Sethiwan Place was constructed in 1991 and has been recently renovated to offer the cutting edge in modern style. This compact building features 15 floors, which contain a total of just 46 units. Each of the large units here is fully furnished with modern décor and also comes complete with a large number of desirable features such as a fully equipped kitchen, a large balcony and a bathtub. 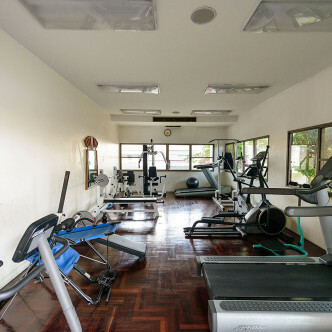 One of the most appealing things about Sethiwan Place is that the building features a large number of facilities. 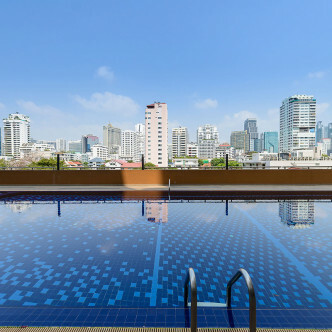 The large outdoor swimming pool is situated close to a separate children’s pool and offers stunning city views, while the building also comes complete with a children’s playroom, a sauna and a modern fitness centre that health conscious residents are sure to love. Sethiwan Place holds a prominent location in the Nana district of Bangkok. 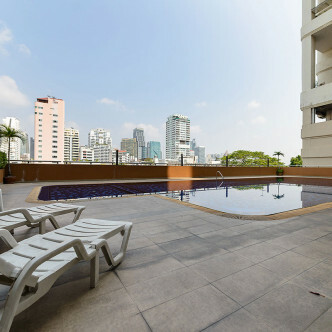 One of the great things about staying here is that the Nana BTS station is just a short stroll away, while the Sukhumvit MRT station can be reached easily on foot. The Nana district is known for its exciting evening entertainment options, while families will find some great international schools close by.